British Airways’ chief executive Alex Cruz pledged that the airline’s new £4.5 billion ($5.9bn) investment programme would improve the flying experience for all customers – including those in the Middle East. Having completed 85 years of successful operations across the region, Cruz’s commitment comes as British Airways prepares to roll out its new Club World product enhancements across the Middle East next year. Reaffirming British Airways as a premium airline committed to customer choice, Cruz outlined the unprecedented competitive pressure the company faced and voiced his determination to create a stronger national carrier to benefit customers and remain at the forefront of world aviation. Cruz said his strategy at British Airways was designed to enable increased investment for customers and wider availability of affordable fares. 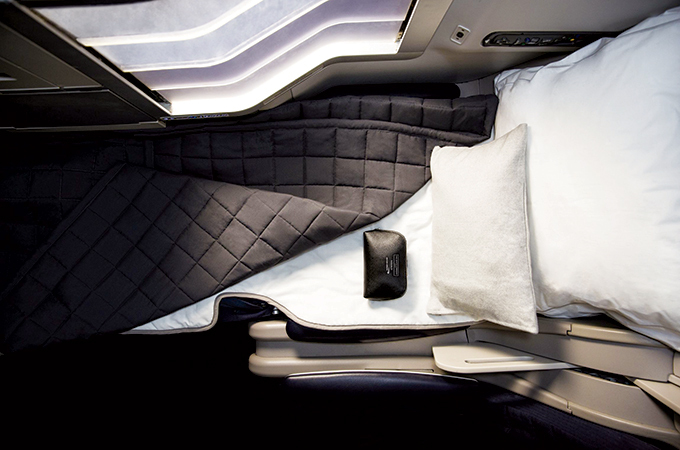 • Roll-out of fast wi-fi in all cabins on short-haul and long-haul. Stressing his desire to shape a “British Airways for everyone”, he said the airline would continue to offer more low fares, so it could take on all types of airline competitor. And it would keep extending its route network to destinations customers wanted. “We want to be the airline of choice for everyone. Every customer matters – short-haul or long-haul, economy or premium. So, we must have an offer that is attractive to everyone,” he said. The airline announced a new route for next summer from Heathrow to Figari in Corsica. British Airways will be flying 264 routes next summer – a rise of 17 per cent in two years. With 11 destinations across nine countries in its Middle East network, the airline offers excellent onward connections from regional gateways to Europe and North America via London Heathrow. He also highlighted £200m ($264.2m) of additional investment in Club World cabins, following a £400 million ($528.5 million) injection unveiled last year. He described customer feedback on recent improvements in catering and bedding as “fantastic” and identified New York JFK, Rome and Aberdeen for major lounge refurbishments in 2018. Cruz said that British Airways was facing “a combination of competitive forces more challenging than at any point in our history” with the growth of low-cost long haul airlines, the continuing expansion of low-cost short-haul, the premium offerings of the Gulf carriers and the financial revitalisation of US transatlantic operators. “As a national flag carrier, we are not granted some special immunity from the way the industry has changed,” he said.